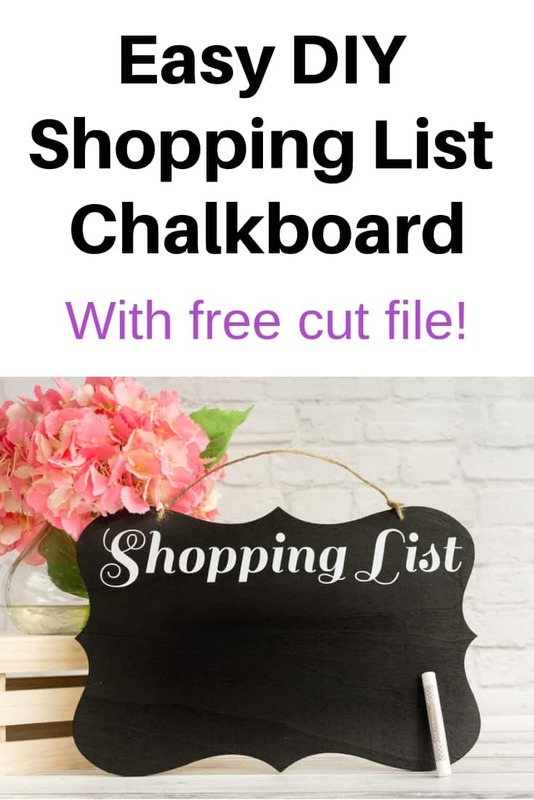 This quick and easy shopping list chalkboard comes with a free Silhouette cut file! Today’s tutorial was inspired by my husband. 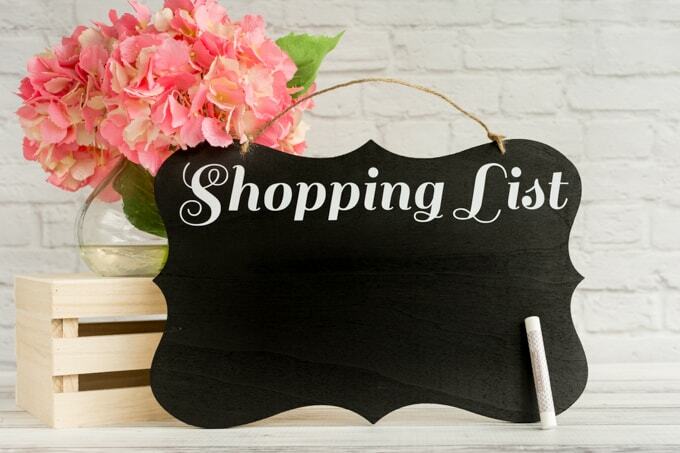 He kept asking for a shopping list chalkboard to hang in the kitchen. We don’t keep anything on the fridge, so we don’t have a running notepad to keep track of what we run out of or need to pick up at the store. 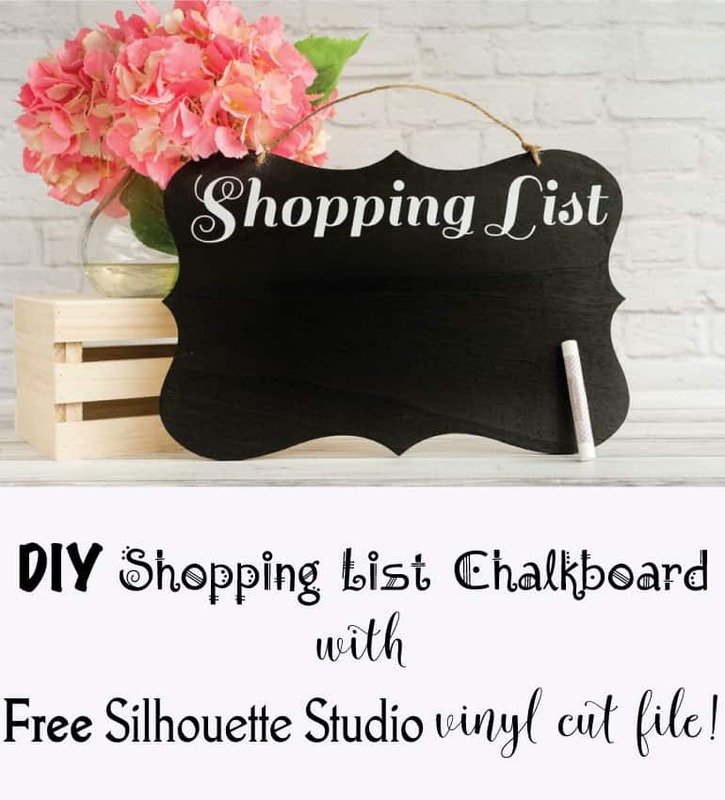 We kept not buying a chalkboard and he kept being sad we didn’t have one, so the other day I pulled out some crafting supplies and made a DIY shipping list chalkboard! 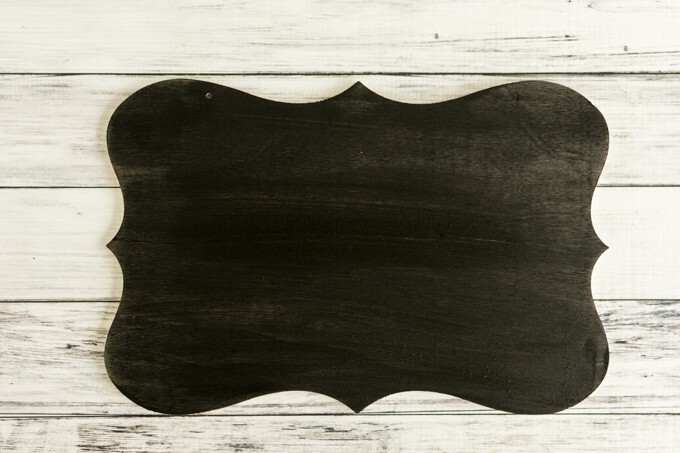 This chalkboard is super easy to make – you only need a piece of wood, something to hang it with, chalkboard paint, and a paintbrush. 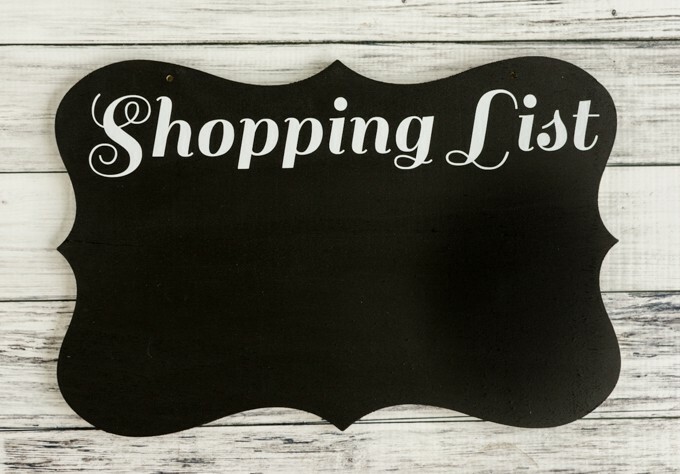 I also used a bit of permanently adhesive vinyl and my Silhouette Cameo to make it a true “shopping list” chalk board! 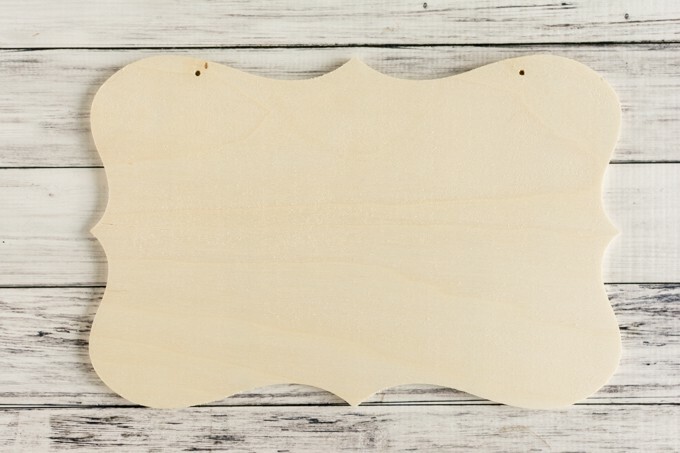 Unfinished wood is quite popular right now, so I recommend just looking for an unfinished wood sign like the one I used at your local craft store. It’s so much easier than breaking out the power tools to make your own! An unfinished wood sign or plaque, or a piece of wood or plywood. I got mine at a local craft store, but this unfinished plaque on Amazon is basically the same minus the twine. Haha, yep! That paintbrush has been used before! 1. If you have an attached cord, like I did, go ahead and untie it if you can. This makes painting so much easier! 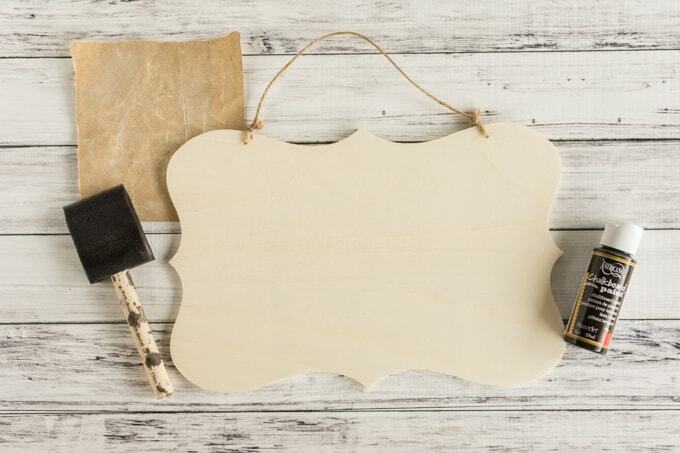 The smoother the sign, the better the chalkboard paint will look. If you need to make holes for your twine, go ahead and drill them now, too. 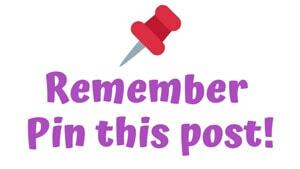 If you don’t have a drill, I really can’t recommend using a staple gun here unless you have thick wood and small staples – I tried stapling something to a different wood plaque and the staples stuck out really badly on the other side! 3. Apply a thick, even coat of chalkboard paint. Try to make your strokes with the grain instead of across it to really get the paint down in any cracks that weren’t sanded totally smooth. 4. Allow the paint to dry, then apply a second coat. (I’ve found chalkboard paint almost always needs a second coat! See some wood peeping through in the photo above?). 8. Apply transfer tape and burnish it in place with your scraper. Alternatively, you can use clear contact paper and a card, like a bank card, instead of official transfer tape and a scraper tool. Whatever you have on hand and works for you! Apply firm, even pressure across the transfer medium to help the vinyl letters stick. 9. Then left up the transfer tape carefully, making sure to bring the vinyl along for the ride, and position everything where you want it on the sign. 11. Carefully burnish the vinyl in place a final time. 12. Thread your twine through the holes and tie it off again so your sign is hang-able. I think my husband didn’t even fully realize what was happening and was sort of surprised when I presented him with the chalkboard! It was a rainy weekend day and we were just sitting around home, so he was playing a bit of Xbox. 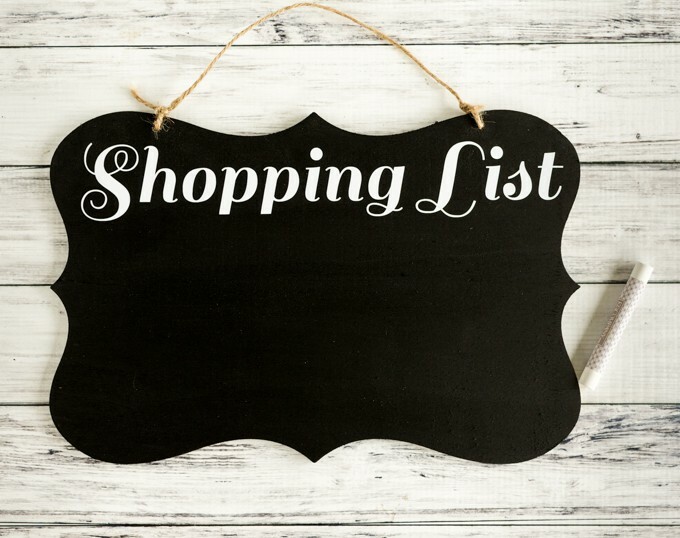 I told him I was finally making a shopping list chalkboard, but I don’t think he expected the project to be as quick and easy as it was! Which then, of course, had me thinking about how I could have found time to make it for him like two months ago when he asked for it… Better late than never? 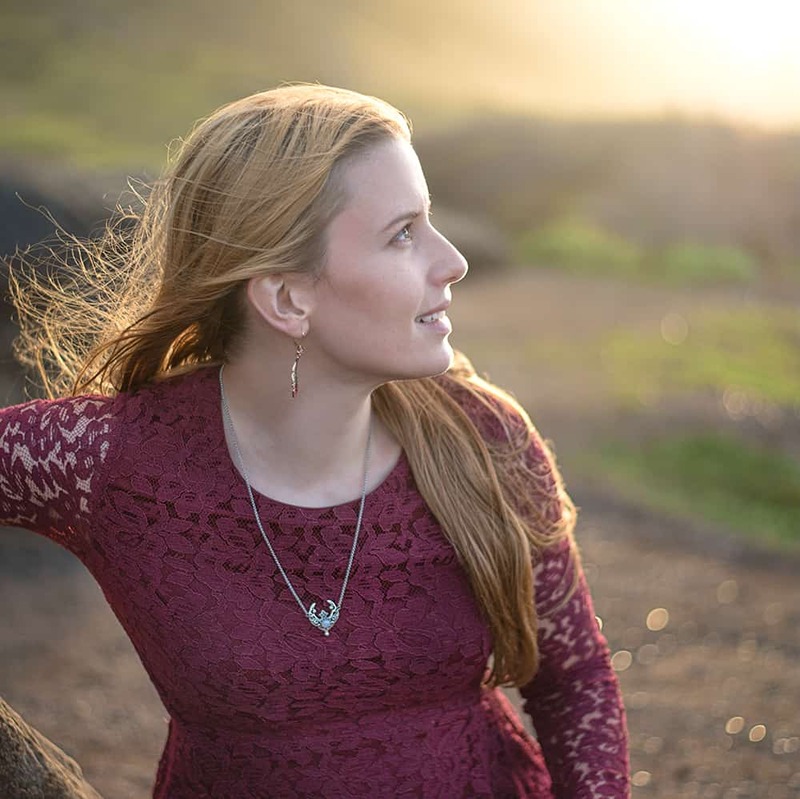 Have you been putting off any projects lately, even if they’re small? 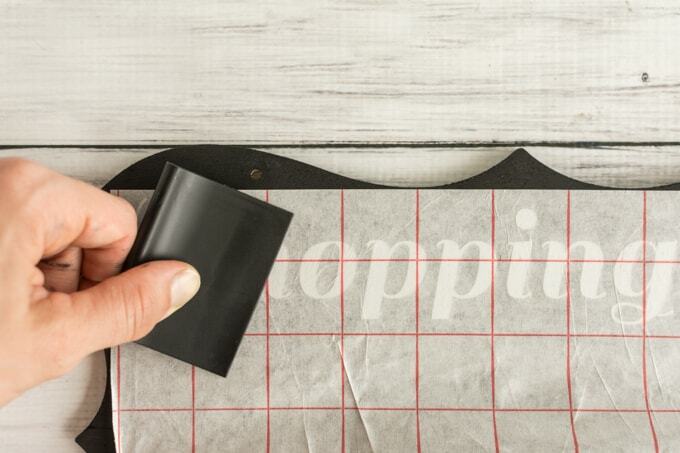 Don’t lose track of this easy shopping list chalkboard tutorial! 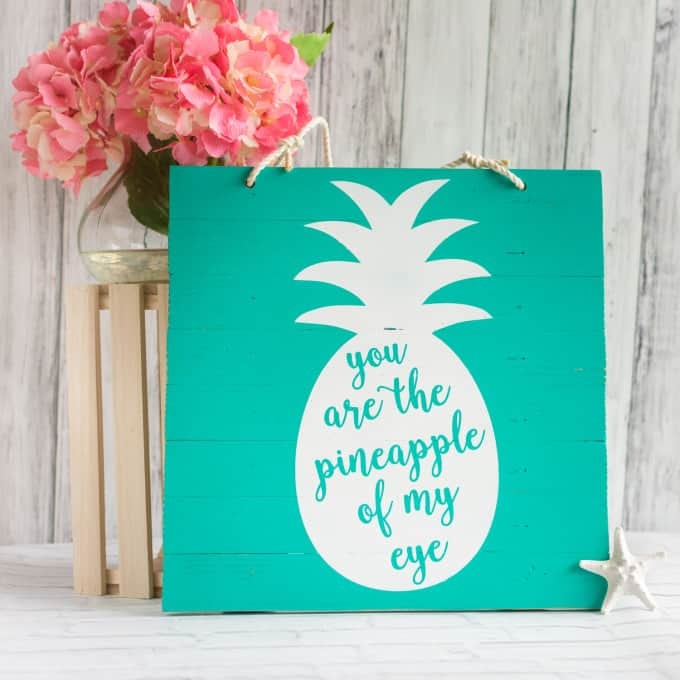 Pin it to your favorite craft board now! 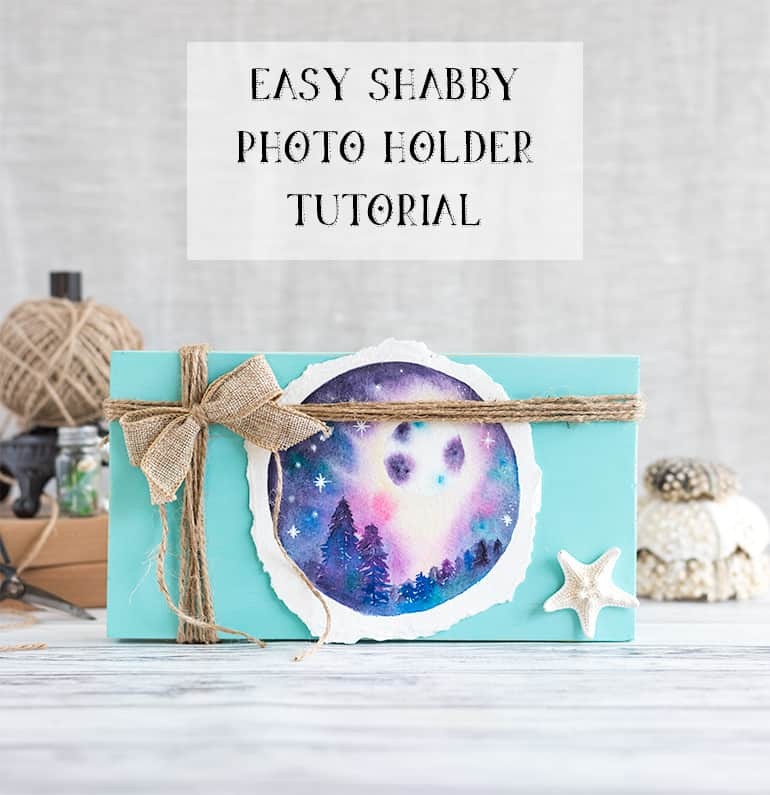 You might also enjoy these other tutorials! I really need to do this! I am always forgetting something b/c I didn’t write it down. I don’t know how I missed seeing your comment the other day! I’m totally with you – it took me a very long time to remember to buy chalkboard paint.